Your nutritional choices play a big part in your overall health. That’s why it’s so important to nourish your body with healthy foods. Food is powerful. It can fight off depression, boost your mood and even help prevent cancer and other illnesses. Food is medicine, and when you use food this way, you’re committing to a lifestyle change. The key is to keep things simple and sustainable. 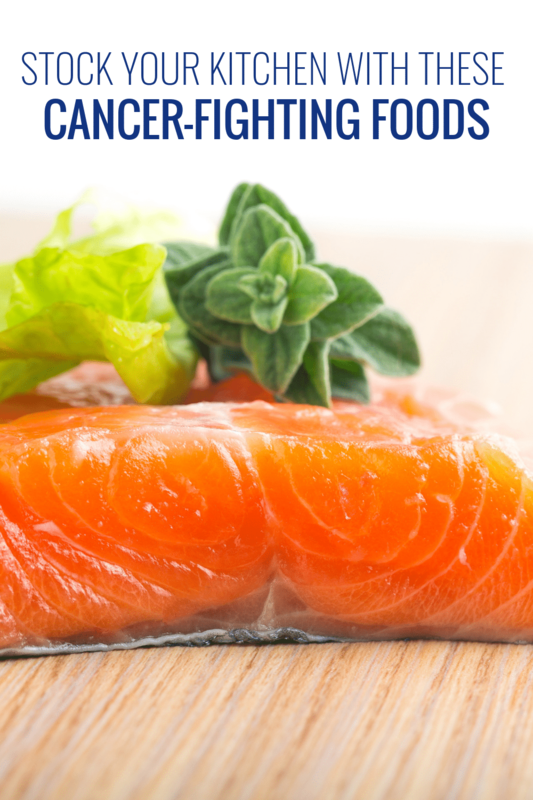 That’s why I love this list of cancer-fighting foods. 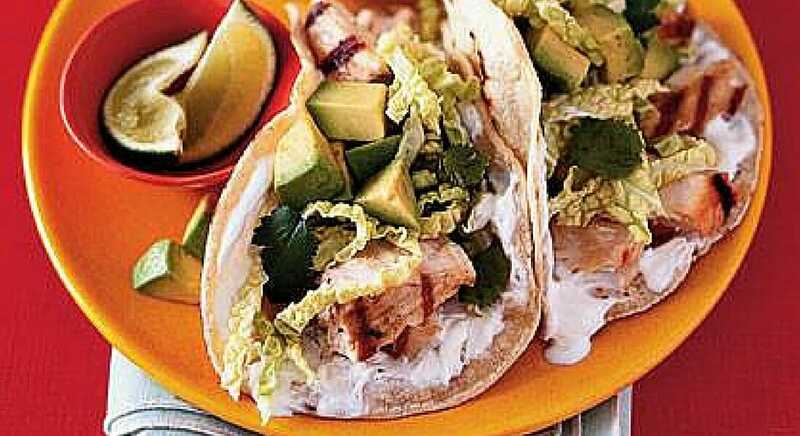 They’re delicious, versatile, accessible and easy to incorporate into your daily routine! So next time you head to the grocery store, consider stocking up on these smart choices that will put you on a path to a healthier lifestyle. Research suggests that vitamin D deficiency could possibly increase the risk of colon cancer. Salmon (particularly wild vs. farmed) is loaded with vitamin D. One 3.5 oz serving could contain almost your entire recommended daily intake … if not more! 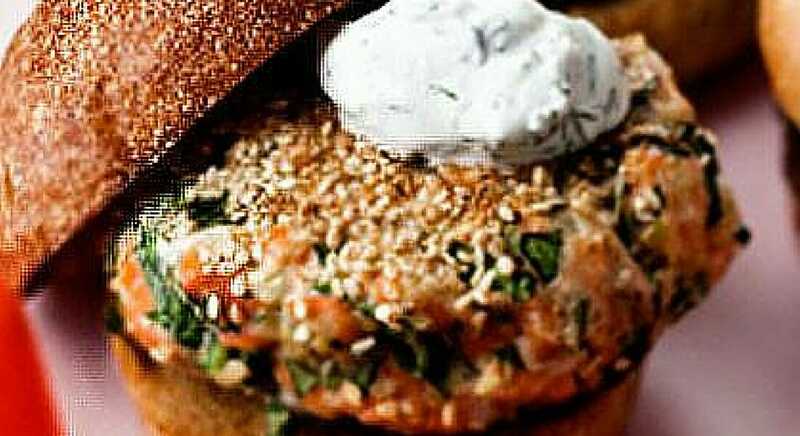 Try my Honey Salmon Bites! These vegetables (which include broccoli, cabbage and cauliflower) are some of the most powerful cancer-fighting foods you’ll find. 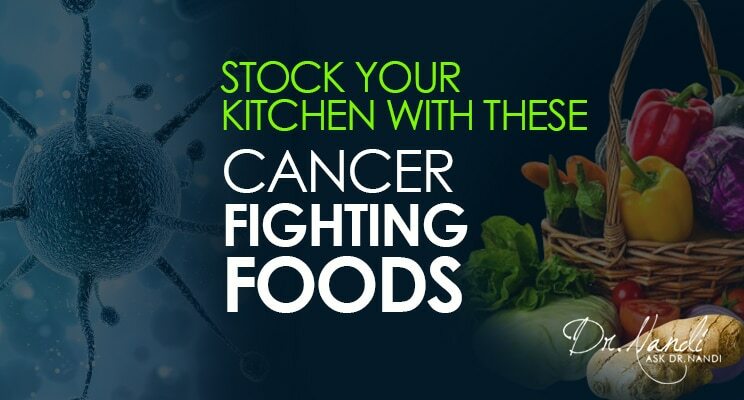 They protect you from cell-damaging free radicals, slow the growth of tumors and can significantly lower your risk of colon cancer when consumed regularly. How’s that for a healthy addition to your diet? Try my Tandoori Grilled Broccoli & Cauliflower Kebabs! Colon inflammation has been tied to the development of tumors. Working a daily total of 2 tablespoons of fresh ginger into your meals can help significantly reduce inflammation. It provides other important health benefits and is a spicy addition to your meals! 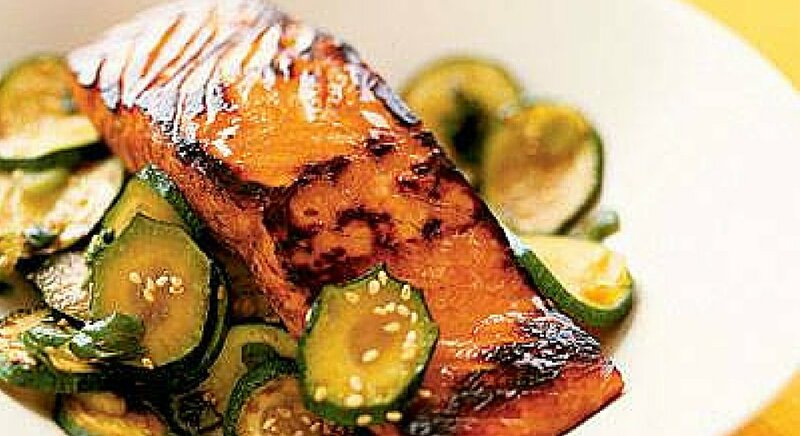 Try my Ginger Sesame Salmon! They not only help to strengthen bones, but might also help fight off colon cancer. Consider adding these good sources of calcium to your nutrition plan: milk, cheese, yogurt, sardines, salmon and veggies such as kale and collard greens. Try my Kale, Coconut Oil & Pineapple Smoothie! Leafy greens like spinach and lettuce are great sources of beta-carotene and lutein, antioxidants which can aid in the fight against colon cancer. Some studies have found that chemicals in these foods could limit the growth of certain cancer cells. Try my Three Cheese Spinach Lasagna! A spice commonly found in Indian food, turmeric contains curcumin which is considered a powerful anti-cancer agent. It’s strong anti-inflammatory properties can help prevent tumor growth. Studies have shown that this tasty spice can actually help stop the growth and spreading of cancer cells. An amazing example of food as medicine! Try my Persimmon Fudge with Turmeric! The next time you’re cooking a new recipe with your tribe, incorporate garlic if you can! 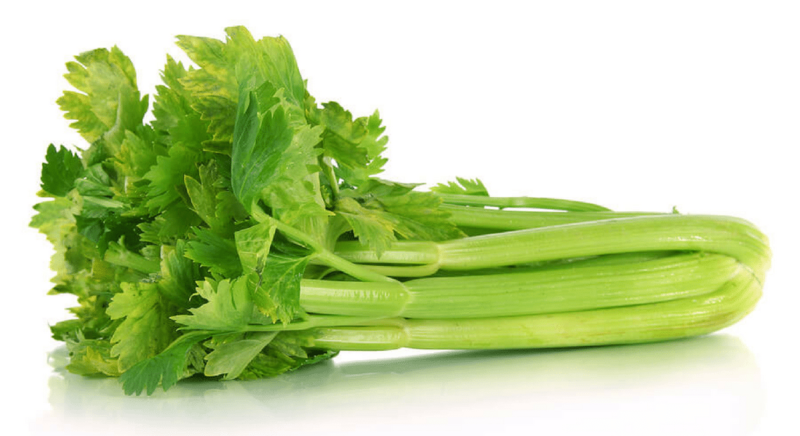 Not only does it add great flavor to your meal, but it has pretty impressive health benefits. It’s believed that those who eat garlic regularly have a lower chance of developing different kinds of cancer. Garlic is especially beneficial when it comes to your protecting your digestive organs. It might even prevent cancer cells from multiplying. This is definitely a kitchen staple! Try my Roasted Garlic Squash! It’s always the perfect time to think about how you can live a healthier lifestyle. Make healthy nutrition a priority. With a little motivation and the right food shopping list, you’ll increase your chances for a healthy life … all while enjoying delicious foods that nourish your body and soul. Start strong. Eat a healthy breakfast to fuel your body for the day ahead and help keep your mind sharp and focused. Choose healthy. Reach for nutritious snacks like bananas and nuts. They help maintain energy and nutrient levels. Balance. Keep it simple. Make informed choices. Nourish your body with healthy foods every day! Your advice on heath matters and healthy food intake is most helpful!